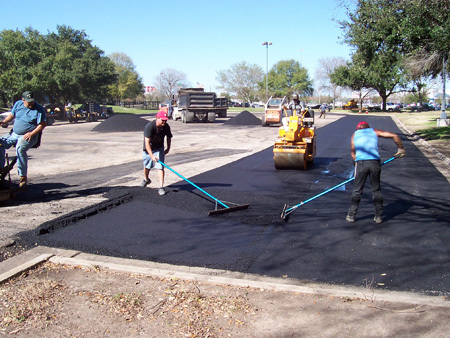 Ascrete, Inc offers top quality paving services in Houston and surrounding areas. 100% Satisfaction Guaranteed. Once we start a job, we do not leave until the work is done, and completed in the shortest time possible. With over the last 46 years of quality workmanship, Ascrete, Inc. has always put forth its best effort to offer a quality and presentable product to its customers in over 10,000 different job locations. Our markets include: Office & Commercial, Health Care, Industrial & Manufacturing, Religious Institutions, Retail, Residential Property, Managers, Homeowner Associations, Government & Municipalities, Hotel & Restaurant and General Contractors. We service the Houston and surrounding areas and are here to help you get the job done right. If you would like to see firsthand the quality of our work, and you are in the Houston area, give us a call. References are given upon request. Servicing Baytown, Beaumont, Bryan, College Station, Conroe, Deer park, Galveston, Houston, Huntsville, Katy, Kingwood, Livingston, Magnolia, Montgomery, Pasadena, Spring, Sugarland, Richmond, Rosenberg, Tomball, The Woodlands, Waller, and Willis.